SHEN YUN INVITES YOU to travel back to the magical world of ancient China. Experience a lost culture through the breathtaking art of classical Chinese dance, and see legends come to life. Shen Yun pushes the boundaries of the performing arts to make this possible, with a unique blend of colorful costuming, high-tech backdrops, and live orchestra. Be prepared for a theater experience like no other. 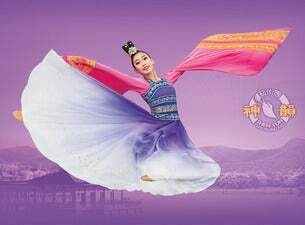 New York-based Shen Yun returns to Sydney Lyric Theatre 6-10 March, 2019 as part of its global tour. It’s all-new program of around twenty masterful dances and songs bring Asia’s celebrated past to life on stage with live orchestra. In ancient times, China was known as the Land of the Divine and the world was full of magic and miracles. Everyone, from the emperors to the common people, believed that their culture was a divine gift. Authentic Chinese culture carried these principles for thousands of years – until it was lost. Shen Yun opens a gate to visit this lost civilization.